“The believer is a new man, a new creation, but he is a new man not yet made perfect,” observes John Murray. The born again believer still has to deal with indwelling sin. He still sins even though he is growing in Christ likeness and is the subject of the progressive sanctification of the Holy Spirit. The believer is being transfigured into the image of the Lord Jesus Christ from glory to glory (2 Cor. 3:18). The emphasis the apostle Paul makes in Romans 6:14, 17, 18-20 is there has been a radical change in the believer’s relationship to sin. It is true that the believer still sins, but he is no longer a slave to sin. Sin no longer reigns as in the condition of the old man, the unregenerate person. Romans 7:14-25 teaches us that sin still remains in the believer’s mind, affections, and will. Slavery to sin is broken. But as Romans 6:6, Ephesians 4:20-24, and Colossians 3:9-10 brings out the struggle in the heart of the very believer. If the old nature has been “crucified” and “laid aside,” how can one say the believer still has an old nature? Christ’s death took the form of a Roman crucifixion. The apostle Paul says the believer is "crucified with Christ" and is "dead" as a result of this action just as Christ after His crucifixion. Just as Christ was definitely dead so is the believer in his vital union with Christ is dead to sin. "For the death he died, he died to sin once for all, but the life he lives, he lives to God" (Romans 6:10 NET). But the finality of death is not the only thing Paul stresses about our relationship with Christ. Drawing on the symbolism of baptism by immersion in water Paul says, "Therefore we have been buried with him through baptism into death, in order that just as Christ was raised from the dead through the glory of the Father, so we too may live a new life" (Romans 6:4 NET). It is not a physical death and burial in regard to the believer, but forensic and positional. Paul has in mind our new position in a vital union with Christ. This is an act of God. We have a new relationship with Him. We have been placed in a new unchanging position. This is the way we exist in God's sight. We are no figment in His imagination. This is the greatest of spiritual realities. Believers are to "consider yourselves dead to sin, but alive to God in Christ Jesus" because this is the great reality of our spiritual lives (6:10). This status or position before God has vital significance and power in our daily life. We draw power and resources from this unchanging position. Paul is describing the whole man and the change in our relationship. We have a new position. The contrast Paul is bringing out in these passages is not a change in our nature, but a change in relationship. Our old man is the old unregenerate self. The new person is the new regenerate self. 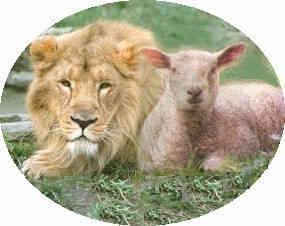 Because of this spiritual regeneration brought about by the Holy Spirit in our hearts, we are new creatures in Christ. As a result we have a new relationship with Christ and a new position before God the Father. It is the believer’s responsibility to cooperate with the Holy Spirit in obeying the Word of God and overcoming temptation. The true believer knows he needs Christ every day. He knows he must guard and keep his heart every day until he sees Christ is glory. When he sins he flees to Christ, His advocate. God had begun a new work in the believer, but that work is not yet perfect. The Christian lives in both Romans chapters seven and eight. The Christian life is an increasing dynamic repentance and faith in Jesus Christ. Every day we increasingly depend upon the blood and the righteousness of Jesus Christ to cover all our sins. We love Him more and more every day. Our sense of repentance deepens as we discover more sins that need to be put to death. Like the apostle Paul, we cry out daily in our mourning, “I am carnal.” But daily we also rejoice in the great truth, “There is now no condemnation for those who are in Christ Jesus.” We die to sin daily, and we live to righteousness daily. By the inner working of the Holy Spirit, we “put to death the deeds of the body that we might live.” This is daily responsibility. Daily the inner man or “self” is being renewed day by day. Romans 7:14-8:4 is the inner battle against remaining sin and imperfect obedience to God’s Word. It is the work of the Holy Spirit leading the believer into deeper repentance, increased holiness, and a greater dependence upon the finished work of Jesus Christ. There will be a day when repentance will be no more, but that day has not arrived. Until that day arrives, we need to deepen our repentance and increase our faith in our Lord and Savior Jesus Christ.